Rotary is a worldwide organization of business and professional leaders who provide humanitarian service and help to build goodwill and peace in the world. Rotary’s global membership is approximately 1.2 million men and women who belong to more than 33,000 Rotary clubs in more than 200 countries and geographical areas. 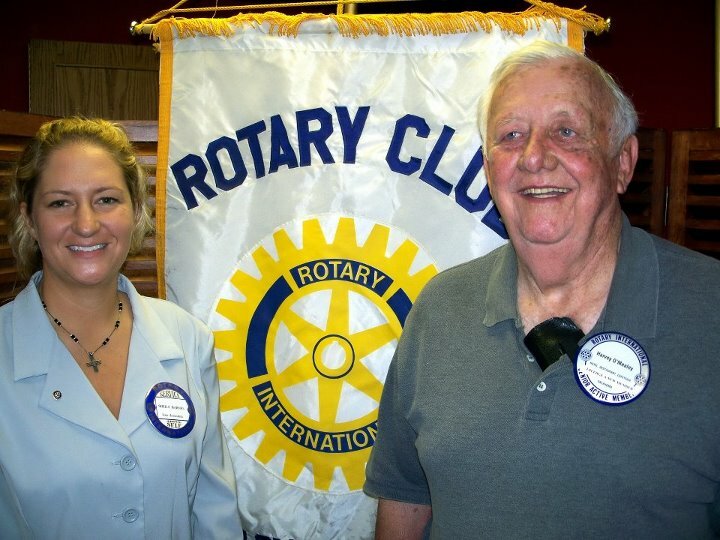 As volunteers, Rotary members have been serving the needs of communities worldwide since 1905. Rotary clubs initiate projects that address many of today’s most critical issues such as hunger, poverty, disease and illiteracy. 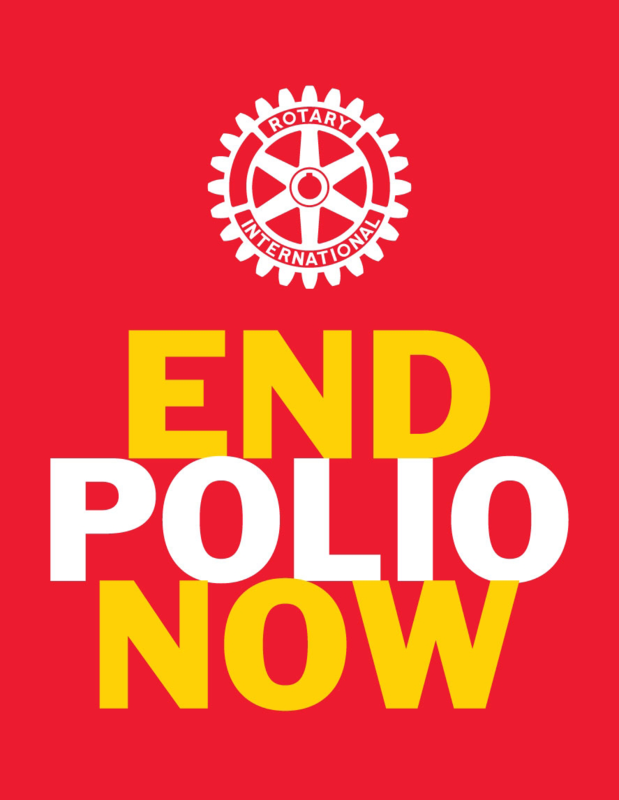 Rotary works in collaboration with the World Health Organization, UNICEF and national governments toward its top goal of eradicating polio worldwide, and with leading universities and academics to help build peace and international understanding. For more information visit www.rotary.org. 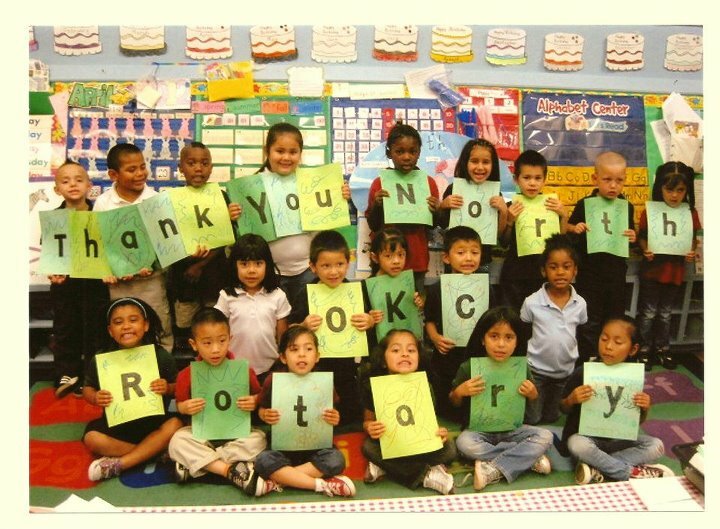 The North Oklahoma City Rotary Club was chartered in 1952. We are a club with 30-40 members, the typical size of Rotary Clubs in our District. About 40% of our members are businesswomen. When formed in 1952, our Club originally met at O'Mealey's Cafeteria in Oklahoma City. O'Mealey's was a popular eating establishment in those days and Harvey O'Mealey, its owner, was a Charter Member of our Club and is still an active member today. Harvey tells us that the Club outgrew his establishment after a few years and so the Club moved its meetings to Oklahoma City University (OCU). A fire at OCU destroyed the Club's banner, flags and other meeting materials, but the Club's bell was saved and the Club proceeded to move its meetings back to O'Mealey's. After a few changes in venue over the years, our Club currrently meets at noon on Mondays at Hefner Grill on Lake Hefner in Oklahoma City. Of course our Club is always about Service. Service Above Self. Our Club is very active in literacy, and one of our Club's service programs involves buying books and reading to the Pre-K kids at Britton Elementary in Oklahoma City. We also participate in "Read Across Oklahoma", a day set aside in Oklahoma to emphasize reading at the elementary school levels. As a Club, we gather and work Read Across Oklahoma at the Oklahoma City Zoo. We assist the Salvation Army in their Ringing of the Bells program and their Build-A-Bike program during the Christmas season. We have other projects on our Club agenda this year that also involve community service. Some of these projects will be joint efforts with other clubs in our area and some will involve just the members of our club.